Home Jobs & Education How Much Does a Radiology Technician Make? 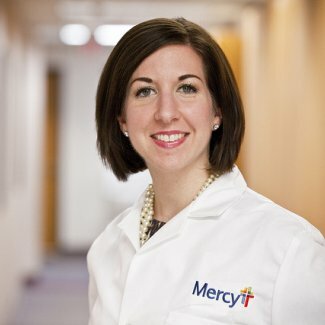 Radiology technicians are experts in performing medical imaging procedures, such as x-rays, computed tomography (CT), magnetic resonance imaging (MRI), and mammography, to assist other healthcare professionals with diagnosing patients. 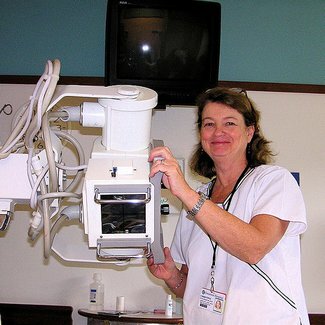 The job description for radiology technicians usually includes maintaining various imaging equipment, precisely following orders provided from physicians for imaging areas, preparing patients for the procedure, protecting patients from exposure to radiation through strict regulations, positioning the patient optimally for the clearest images, operating the equipment to take images, and consulting with the radiologist on findings. How much do radiology technicians make? According to the United States Bureau of Labor Statistics records from May 2012, the 194,790 radiology technicians employed in America earn an average yearly radiology technician salary of $56,450, or $27.14 per hour. While the bottom ten percent in the occupation makes $37,060 on average, the top ten percent of radiology technicians brings home an appealing annual salary of $77,160. Radiology technicians employed in physicians’ offices earn slightly less than average at $55,070 each year, but the highest paid work at colleges and universities for a mean salary of $66,810. The highest-paying states for the field are Massachusetts and California, where radiology technicians are compensated $82,080 and $70,590 on average each year. Although radiology technicians can find employment in a wide range of healthcare facilities, more than 60 percent are employed in private, local, and state hospitals. The remainder works in the offices of physicians, medical diagnostic laboratories, outpatient treatment facilities, clinics, and for the federal government. Most radiology technicians are employed as a full-time employee, with long hours on their feet and physically lifting or turning patients. Since certain imaging procedures may need in emergency circumstances, some are required to be on call for evening and weekend shifts on top of a 40-hour week too. As the immense aging baby boomer population continues to stay active longer in life, more physicians are in need of diagnosing patient medical conditions through the powers of diagnostic imaging equipment. Therefore, employment for radiology technicians is predicted to steadily rise faster than the national average for all occupations at a rate of 28 percent between 2010 and 2020. The best job prospects will be for radiology technicians who have earned multiple certifications and are seeking employment in outpatient care. How Much Do Ultrasound Technicians Make? How Much Do X-Ray Technicians Make? What Does A Pharmacy Technician Do? What is the Average Dental Technician Salary? How Much Does an EMT Make? What Does A Respiratory Therapist Do? How Much Do Physician Assistants Make? How Much Do Construction Workers Make?